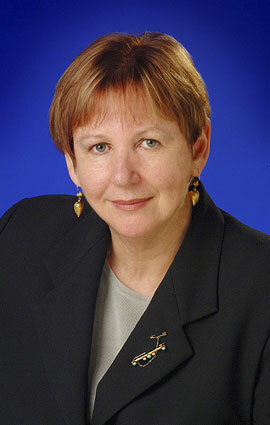 Dr. Lynda Bourne DPM, PMP, FACS. Lynda is Director of Professional Services with Mosaic Project Services focusing on the delivery of CAPM, PMP, Stakeholder Circle® and other project related workshops, training, mentoring and consulting services. She is also a Fellow of the Australian Computer Society (FACS) and a professional speaker. Lynda remains active in the academic sphere, she is a member of the Faculty of Information Technology at Monash University, Melbourne. The modules Lynda teaches are focused on stakeholder management, communication and leadership in project management. Lynda was the first student to graduate from the RMIT University, Doctor of Project Management course with a professional Doctorate in Project Management (DPM) in 2005. For her thesis, Lynda investigated the concept that a project’s success or failure is closely aligned with perceptions of the project held by its key stakeholders; and that project teams can manage these perceptions to create success. The research resulted in a new tool, the Stakeholder Circle® that maps each stakeholder community in a unique way, allowing the project team to focus its stakeholder engagement strategies. The Stakeholder Circle also highlights key facets of the surrounding management culture and structure. Download a copy of Lynda's thesis. This valuable tool is now being developed and marketed world-wide by Stakeholder Management Pty Ltd and is the basis of the Stakeholder Relationship Management Maturity (SRMM®) model described in her book, Stakeholder Relationship Management: A Maturity Model for Organisational Implementation. Her second book, Advising Upwards: A Framework for Understanding and Engaging Senior Management Stakeholders, was published in 2011. Making Projects Work: Effective Stakeholder and Communication Management was published in 2015. Lynda was the inaugural (2003) winner of the PMI Australian Chapters’ Project Manager of the Year award, was awarded PMI’s Robert J Yoursak tuition scholarship for the 2004/2005 academic year and the AIPM Victorian Chapter, Donal Lenihan Student Bursary in 2005. She was part of the testing team working on PMI’s initial OPM3 development and was a sub-team lead on the OPM3 2008 update project and Chair of the OPM3 ProductSuite Examination Committee from 2006 to 2008. Lynda has also contributed to a range of other PMI standards. She is a recognised international speaker and seminar leader on the topic of stakeholder management and the Stakeholder Circle® visualisation tool; see more on our workshops. Lynda graduated from Deakin University, Geelong with Honours and later gained a Graduate Diploma in Computing. This led to a diverse range of assignments covering a wide-range of project related activities and project leadership roles. She is now focused on giving back to the profession through her mentoring activities and participation in the development of innovative Project Management methodologies and course ware. Bourne, L. Making Projects Work: Effective Stakeholder and Communication Management. CRC Press Ltd, Florida - 2015. Dalcher, D (Ed.). Advances In Project Management, Ch. 18 - Leadership Communication - Communicating upwards for effect (Gower Publishing Ltd, Aldershot - 2014). Letavec, C., Bolles, D. The PMOSIG Program Management Office Handbook Ch. 4: Stakeholder Relationship Management: Enhancing PMO services through effective engagement and communication. Estrella, J.A., Lessons Learned in Project Management: 140 Tips in 140 Words or Less. Tip #36: Understand who’s who and who’s playing. CreateSpace, USA, 2011. Yang, J., Shen, P.Q., Bourne, L., Ho, C.M.F., Xue, X. (2010). A Typology of Operational Approaches for Stakeholder Analysis and Engagement. Construction Management and Economics (February 2011) 29, 145–162. Bourne, L. Project Relationship Management and the Stakeholder Circle [2008 Thesis], Lambert Academic Publishing AG & Co, Saarbrücken, Germany - 2010. Bourne, L. Stakeholder Relationship Management: A Maturity Model for Organisational Implementation, Gower Publishing Ltd, Aldershot - 2009. Bourne, L. (2008). Practice Note: Advancing theory and practice for successful implementation of Stakeholder Management in organisations. International Journal of Managing Projects in Business. Vol. 1: pp587-601. Chinyio E. (Ed). Construction Stakeholder Management (Blackwell Publishing, London - 2008). Bourne L., Weaver P.: Chapter 7, Mapping Stakeholders. Walker D.H.T., Bourne, L., Shelley A (2008). Influence, stakeholder mapping and visualization. Construction Management & Economics, 26(6) 645 - 658. Murray-Webster R, and Hillson D. Managing Group Risk Attitude. Gower Publishing, Aldershot - 2008. Bourne L. Foreword. Bourne, L. and Walker D.H.T. (2008). Project relationship management and the Stakeholder Circle™. International Journal of Managing Projects in Business. Vol. 1: pp125-130. Walker D.H.T. and Rowlinson S. (Eds). Procurement Systems – A Cross Industry Project Management Perspective. Taylor & Francis, London - 2008. Walker D.H.T., Bourne L., Rowlinson S.: Chapter 3, Stakeholders and the Supply Chain. Bourne, L. and Walker D.H.T. (2006). Visualising Stakeholder Influence – Two Australian Examples. Project Management Journal 37(1): 5 - 12. Bourne, L. and Walker D.H.T. (2005). Visualising and Mapping Stakeholder Influence. Management Decision 43(5): 649 - 660. Bourne, L. and Walker D.H.T. (2005). The Paradox of Project Control. Team Performance Management Journal (Summer 2005). Bourne, L. and Walker D.H.T. (2004). Advancing Project Management in Learning Organizations. The Learning Organization 11(3): 226 - 243. Fifth international conference on project management in the Baltic States. Riga, Latvia. April 2016. Understanding the Schedule - The Challenge of Informed Consent [P186] Construction CPM Conference New Orleans. January 2016. Stakeholders and Risk. Project and Program Management Journal, Vol. 43, No. 3, pp. 212-217 Publishing House "Grebennikov", Moscow. ESEI Stakeholder Management series (14 articles). PM World Journal Volume IV. 2012 - 2017: Entry in Who's Who in the World. Publisher, Marquis Who's Who® Publications. 2007 to 2017: Entry in Who's Who of Australian Women. 2005: Donal Lenihan Student Bursary; AIPM Victorian Chapter. 2003: Project Manager of the Year; PMI Australian Chapters. 2nd Women in Project Management Leadership Summit 2015. PMINZ Conference 2015, 'Shaping the Future'. Keynote speaker: New directions for stakeholder engagement in the era of social computing. Plenary presentation: 7½ tips for managing internal stakeholders: engaging stakeholders for maximum effect [P161]. Coping with a demanding workplace: Efficiency through managing your internal and external clients (stakeholders). No one can whistle a symphony. It takes a whole orchestra. A day in the life of procurement: How communicating with internal stakeholders can increase procurement's influence and drive change. 2016 / 17 Core team member (communication and stakeholder management). 2005 - 2008 Member of the PMI standard development team. 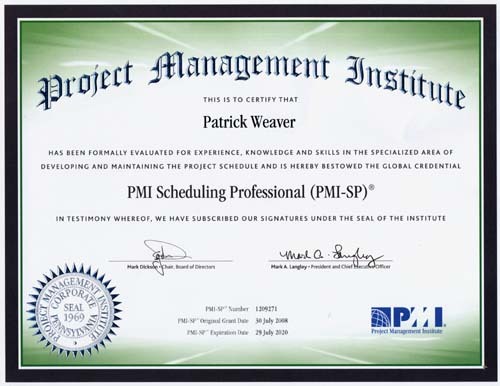 Member of the PMI standard development team. 2001 - 2003 Member of the PMI standard development team. Patrick is the Managing Director of Mosaic Project Services Pty Ltd, and business manager of Stakeholder Management Pty Ltd. Since 1985, he has held a number of Directorships with various project management businesses including managing Micro Planning International Pty Ltd from 1987 to 1998 [ see more on the history of MPI ]; he graduated from the Australian Institute of Company Directors course, 'The practice of directorship' in 1995. Patrick has over thirty five years experience in the Project Management industry. His career was initially focused on the planning and managing of construction, engineering and infrastructure projects. The last twenty years has seen his businesses and experience expand to include the successful delivery of project scheduling services and PMOs in a range of government, ICT and business environments [view a full list of Mosaic's clients and projects]. The third key element of Mosaic’s current business mix, project management training, has been largely developed in the last decade with Mosaic now delivering a range of training courses and seminars around the world [view a full list of Mosaic's public training courses]. In the last few years, Patrick has sought to ‘give back’ to the industry he has participated in since leaving college and has contributed to the development of the project management profession and professionalism in the building industry. In addition to his committee roles with the CIOB [ see CIOB details ], he was part of several PMI standard development teams and is currently a member of SIA's MB-012 committee focused on developing a range of Australian and International (ISO) standards for Project, Program and Portfolio Management. He has presented papers at a wide range of project management conferences in the USA, Europe, Asia and Australia, has been part of the organising committee for two PMI Congresses in the Asia-Pacific region (2005, Singapore and 2007, Hong Kong), the PMOZ conference in Australia and World Project Management Week. Since 2012, he has been a member of the organising committee for the Project Governance and Controls Symposium, Canberra (PGCS); www.pgcs.org.au. Higher National Diploma (Building) HND. Project Governance and Controls Symposium, Canberra, May 2017. The art of predicting project completion; a good baseline schedule is not enough! Project Governance and Controls Symposium, Canberra, May 2016. Project Governance and Controls Symposium, Canberra, May 2015. CS2 or just say CC! PMBOK® Guide 6th Edition, 2017 Exposure draft reviewer. 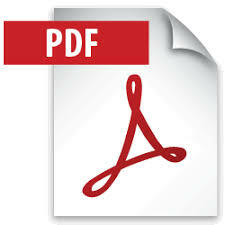 PMBOK® Guide 5th Edition, 2012 Exposure draft reviewer. - MB12, a committee, formed by Standards International Australia, to contribute to the development of ISO 21500 the new international standard for project management. PMBOK® Guide 4th Edition, 2008 Exposure draft reviewer. The Standard for Portfolio Management, 2006 Exposure Draft reviewer. The Standard for Program Management, 2006 Exposure Draft reviewer. 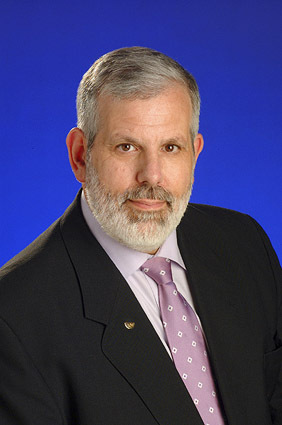 2003 - 2005 Member of the PMI standard core team. Hillson, D. The Risk Management Handbook – A practical guide to managing the multiple dimensions of risk. Volume 32, Issue 8, November 2014, Pages 1382–1394. (Blackwell Publishing, London - 2008). Bourne L., Weaver P.: Chapter 7, Mapping Stakeholders. Victorian Master Builder Qld Dept. Planning -v- Project Management, Selecting the right software. Computer Aided Planning Disasters - When is your critical path not a critical path?